It seems the issue of blogs, stats and traffic is on many people’s minds, particularly new bloggers. 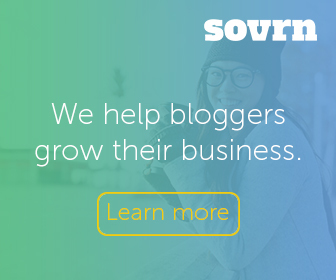 Though PR and companies might be starting to shy away from the review/giveaway model to some extent, most still require bloggers to give their traffic and follower information in the application process to participate in many campaigns. Stats are important, to a point. They reveal a piece of the puzzle that is influence and reach, but not enough to get an idea of the finished picture. Making stats the sole determining factor for working with a company is doing a disservice to the blogging community in more ways than one. I’ve said it before and I’ll say it as many times as I need to until companies get it: blog traffic and followers are not the only way to measure influence! So many people wear multiple hats that make them more than qualified to work with a company or brand. We’re PTA presidents, scout/troop leaders, room parents, book club members and active within our local social media circles. What good is having thousands of followers if none of them are really listening, or, more importantly, are the type to take action on the message? They can be inflated – Many bloggers who hold contests on their site make subscribing to their feed, following them on Facebook and/or Twitter, or becoming a Google Friend a requirement of entry. Those blogs typically have high numbers, but not always an engaged audience. “Drive by” traffic is great in the short term but I’d much rather have a smaller audience who actively converses with me than one who only check in when they want what I have. They can be automated – How about people who follow anyone who follows them? Auto follows? I’m reluctant to give out my Twitter follower numbers because they’re too high. I can honestly say I don’t converse with half of them despite my asking repeatedly for new followers to introduce themselves so we can properly get to know one another. There are many great blogs whose authors have clear voices, great writing and content and an actively engaged audience but low blog numbers. Dad bloggers, grandparents, gay/lesbian and even non-parents bloggers have just as valuable a voice as moms, but they are often overlooked because “mommy-bloggers” are the marketing group du jour. Savvy Auntie is a site specifically for people who are influential in the lives of children but who aren’t parents themselves. At last year’s BlogHer conference, Heather said (I’m paraphrasing), “just because I’m not a mom doesn’t mean I don’t Swiffer too.” Heather has her own blog and has written 200 posts for the BlogHer network. How is Heather not influential? Smaller blogs are often left out of PR and marketing opportunities. Without numbers to back them up, they are caught in a cycle where they can’t participate in a good, high profile campaign but being part of that campaign could be just the thing that helps their blog grow. Such campaigns are great for a blogger’s resume and can open doors to sponsorships, brand advocacy, advertising or other paid opportunities. Those who do get to participate are often elevated to an elite status. It creates a sense of “haves and have not’s” which breeds animosity in a community that prides itself on being inclusive and helping one another succeed. If the same circle of people is continually presented with the same opportunities, the message will, gasp! Sound the same. Fresh voices and new perspectives should be important to a brand but seems to get overlooked in favor of how many eyeballs will be exposed to the message. Blog stats are important, but they shouldn’t be the only metrics used to create marketing campaigns. I’m not suggesting an appliance manufacturer give a brand new blogger an entire kitchen suite, but, for instance, there could be someone who going through a remodel who would provide just as accurate a review as another blogger. Companies, marketers and brands have so many ways to see who is talking about them. Twitter Search, Social Mention, Google Alerts and Who’s Talkin are great (and free!) tools that can help find people who are already talking about their product and service. -Listen to the conversations, participate and get bloggers involved in campaigns at their inception, not just at the pitch stage. -If you’ve worked with a blogger successfully before, ask for referrals. -Think outside the box: can your campaign be multi-layered? The 2008 model of sample as reward is far from viable in and of itself . Make your Campaign work. For you, the blogger and your BRAND. I wish I had the answer as to how reach and influence can be measured in other ways besides only using stats. Every blog has to start somewhere. Today’s relatively unknown can quickly become tomorrow’s insert-alpha-blog-list-here power player. Wouldn’t it be nice to know you helped that person get there? AMEN to this. I think so many times “bloggers” have a larger voice and reach outside of their blog. While stats are great, I think having an audience is even more important and an audience that is willing to listen.I agree that more should treat reviews and G/aways like a business transaction and ask for referrals and future biz on both ends. Plus you gain some wonderful contacts professionally and personally. @Karie building a relationship with your pr contacts is key for long term goals. I see the face of blogging changing and as with all business contacts and deep relationships are vital. @Karie There’s a lot to be said for good karma. So many feel they need to take advantage of every opportunity presented to them in order to get “established” but not every review/giveaway is right for every blog. Passing on those opportunities to people you know is good business for us and the PR companies. I appreciate the thoughts and advice. I just started my blog and I thought it would be fun to do giveaways. I got my first response from a company today asking for my stats. I have not even checked to see what they are because I don’t want to get discouraged or worse caught up in the numbers game. I have not responded to them yet but I agree that it does seem like being a small fish in a big pond is difficult if you are trying to do reviews or giveaways. @Christine, thanks for your comment and for giving your feelings…it can be tough at the beginning..if you ever need help, feel free to ask. I’m more than happy to answer any questions about blogging, how to give aways and more. @Christine It can be discouraging. But, use this as an opportunity to sell yourself. If the product is a good fit, let them know what you bring to the table. Any PR you do on your blog adds to your resume. If you’ve done a successful review before and had good feedback from the company, tell the new company that too. Find people, like Debbie, who can help you. Also, ask yourself how much of your blog you’re willing to devote to the review/giveaway model. What you get out of it should equal what you put into it. Anyway, now that I have done my blog shilling for my fellow dads you are quite correct about blogs being more than just stats. Unfortunately many people prefer quick and easy and limit themselves to what is in front of their nose. .-= Jack´s last blog ..A Role Model for My Children =-. i like your post, i think stats are good, but they aren’t the end all be all like some people believe. I am all about GetClicky.